Kalank is touted as one of Karan Johar’s most ambitious projects. 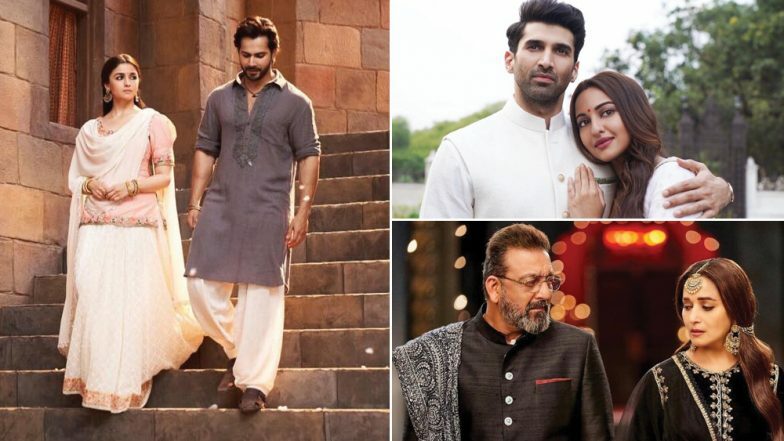 With a stellar star cast of Alia Bhatt, Varun Dhawan, Sonakshi Sinha, Aditya Roy Kapur, Madhuri Dixit, and Sanjay Dutt, Kalank was expected to hit the theatres with a bang. The movie, however, did not gel with the expectations of fans and the plot fell flat, leaving critics unimpressed. Kalank received mixed reviews on the social cloud, while the majority of the fans felt disappointed by the multi-starrer period drama. Kalank Movie Review: Alia Bhatt, Varun Dhawan, Kunal Kemmu Shine in a Beautifully-Framed but Dull Love Saga Set During the Partition. As soon as the movie released, the internet was flooded with audience reactions. While some bashed the filmmaker, others resorted to trolling the movie. #KalankReview has given me faith in India's choice. No crap big budget Karan Johar movie can fool us in this generation of Social Media. Kalank is another Kalank on KJos production career. According to the review published in LatestLy, “Kalank is beautiful to look at and boasts of an incredible cast with some good performances. And yet this love saga, which had the potential to be great, is tainted with a cluttered, over-stretched screenplay and a melodramatic treatment. Kalankmight work for die-hard shippers for Alia Bhatt-Varun Dhawan pairing!” Kalank Box Office Collection: Varun Dhawan and Alia Bhatt Starrer Off to a Good Start, Witnesses 40% Occupancy. Helmed by Abhishek Varman, the movie is bankrolled by Karan Johar’s Dharma Productions. Kalank had raised a buzz across the quarters with its royal appeal and promising cast.